Karl Finlay & Liam Baxter aka Sublimit bring experience and skill which go hand in hand to produce influential ideas of music / sound. 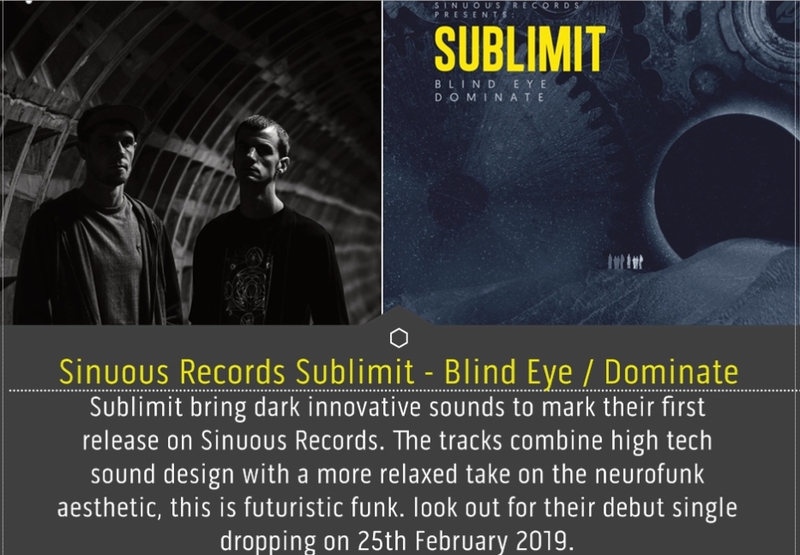 Not limiting themselves to one sound, Sublimit form a range of different styles of Drum & Bass from soulful Liquid to more deep and eerie Tech, and everything in between! 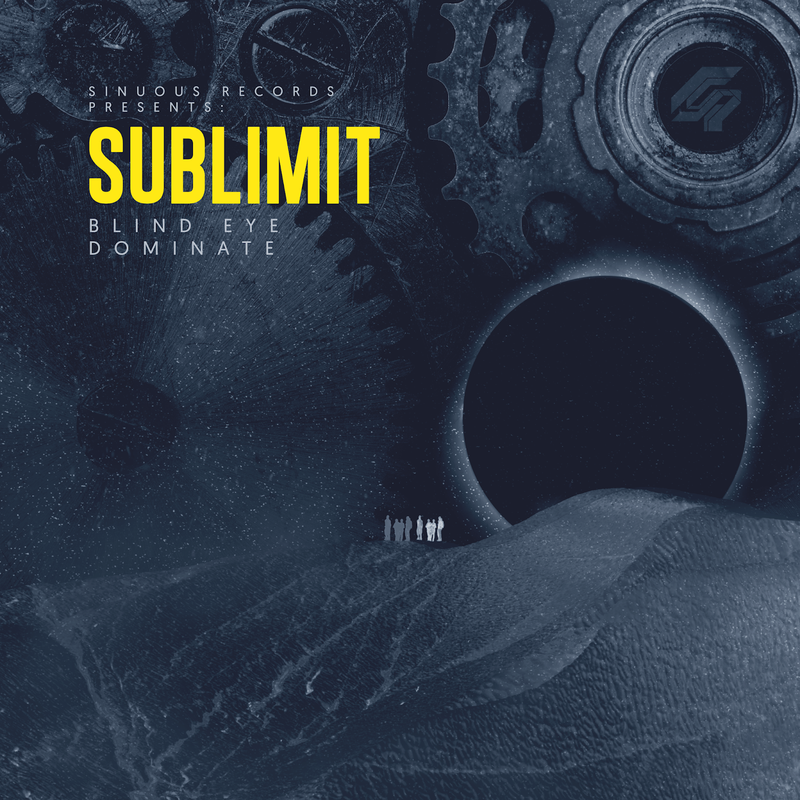 Sublimit bring dark innovative sounds to mark their first release on Sinuous Records. The tracks combine high tech sound design with a more relaxed take on the neurofunk aesthetic, this is futuristic funk. look out for their debut single dropping on 25th February 2019. 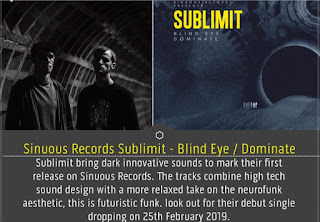 Sinuous Records Sublimit - Blind Eye / Dominate (Blind Eye) Atmospheric textures build up straight away into rolling crisp breaks and warped neuro basslines that leap between frequencies. A Well crafted rattling percussion set that’s present throughout with loads of character. This shows its tightness of production and attention to detail throughout. (Dominate) Brings through a finely crafted slice of dark techstep that provides a contrasting dominance before the track drops into a smooth rolling rhythm. These warping reese basslines are layered over a stomping drum beat. This is dancefloor destroying material make no mistake - Serious business! Brings through a finely crafted slice of dark techstep that provides a contrasting dominance before the track drops into a smooth rolling rhythm. These warping reese basslines are layered over a stomping drum beat.This is dancefloor destroying material make no mistake - Serious business! Bring experience and skill which go hand in hand to produce influential ideas of music / sound. Not limiting themselves to one sound, Sublimit form a range of different styles of Drum & Bass from soulful Liquid to more deep and eerie Tech, and everything in between! 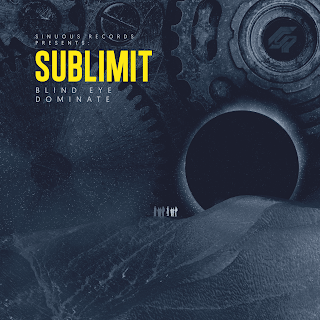 Sublimit bring dark innovative sounds to mark their first release on Sinuous Records. The tracks combine high tech sound design with a more relaxed take on the neurofunk aesthetic, this is futuristic funk. look out for their debut single dropping on 25th February 2019.